A broken collarbone, or fractured clavicle, is a common injury. It usually happens after a fall or a blow to the shoulder. It takes about 6-8 weeks to heal in adults, and 3-6 weeks in children. 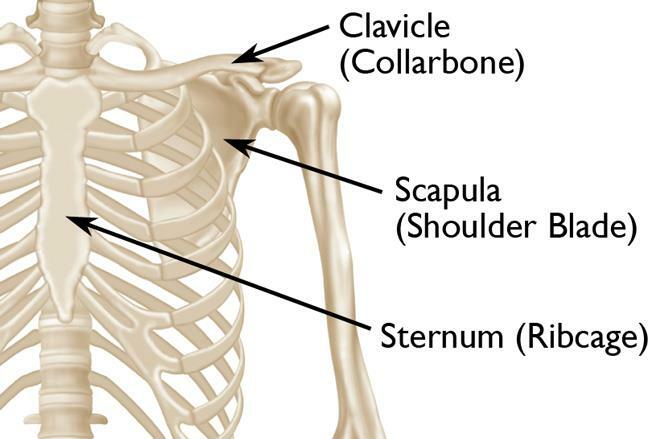 The collarbone is a long, slender bone that runs from the breastbone to each shoulder. You can feel it at the top of your chest, just below your neck. Tough bands of tissue (ligaments) connect the collarbone to the breastbone and shoulder blades. See your GP straight away if you've injured your collarbone. If they think it's fractured, they'll refer you for an X-ray to confirm the injury and have it treated with a sling and brace. If you can't see your GP or the injury is severe – for example, the bone is poking through the skin or the pain is unbearable – go straight to your nearest accident and emergency (A&E) department. While waiting to see a doctor, stabilise your arm using a towel as a sling – this goes under the forearm and then around the neck. Try to move your arm as little as possible. Over-the-counter painkillers, such as paracetamol or ibuprofen, can help reduce the pain. Don't give aspirin to children under the age of 16. Holding an ice pack to the injured area can also help reduce the pain and swelling. A bag of frozen peas wrapped in a tea towel works well. Avoid applying ice directly to the skin because it can burn. Your shoulder may be slumped downwards and forwards under the weight of the arm, as the broken collarbone is no longer providing support. There may have been a snapping or grinding noise when your collarbone broke. In severe cases, one end of the bone may poke through the skin. Most broken collarbones are left to heal naturally using a simple triangular sling to support the arm and hold the bones together in their normal position. The sling is usually fitted in hospital after an X-ray has confirmed the collarbone is broken. You'll be given painkillers to relieve the pain. Surgery under a general anaesthetic is only needed if the injury is severe – for example, where the bone has broken through the skin – or if the bones have failed to line up and are overlapping significantly. Several techniques can be used to repair the collarbone. Fixing the break with a plate and screws is the most common method. Your surgeon will explain the technique they're going to use and its advantages and disadvantages. You may need to stay in hospital overnight, depending on the extent of the injury. Before you're discharged, you may see a physiotherapist, who can show you some gentle arm and shoulder exercises to do at home with your arm out of its sling. These will help reduce stiffness, relieve some of the pain, and strengthen your shoulder muscles. You'll probably need to go back to the hospital outpatient department about a week after being discharged to check your collarbone is healing properly. See your GP if you have any concerns before this appointment. Go back to the A&E department if you notice any weakness developing in your arm or hand, or the pain suddenly gets worse. In adults, it usually takes about 6-8 weeks for a broken collarbone to heal, although it can take longer. In children, it usually takes about 3-6 weeks to heal. However, it will take at least the same period again to restore full strength to your shoulder. 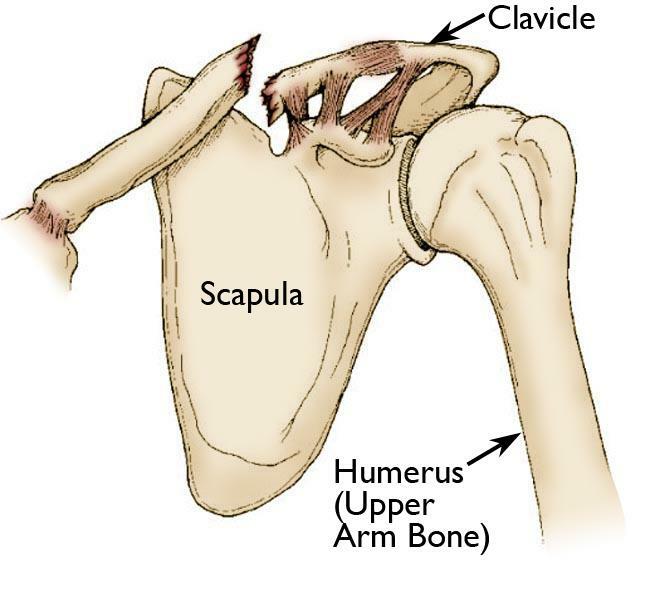 While the fracture heals, a lump may develop along your collarbone. This is normal, and often improves over the following months. Occasionally, the fracture doesn't heal (non-union) and you may need surgery. This should be discussed with your surgeon.